On the golf course, looking sharp is as important as winning the game. Golf, polo, and many other luxury sports are sports where individuals dress to play and dress to impress. Well, we have talked about knickers, which are old vintage pants that have been known as one of the oldest golf clothing styles in the world. However, we want to add to the mix the newsboy cap. 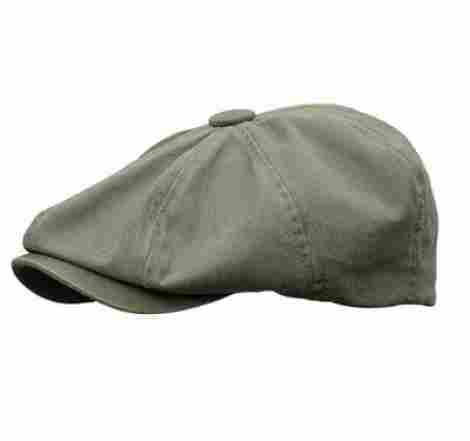 The newsboy cap is an old vintage style cap with an oval top and small bill resembling that of a paperboy. Think of Great Gatsby meets authentic golfers. Well, we went on the search to share with our audience the best ones. Not only are they designed for quality, but they are the president style of the sport and have been synonymously known with the word golf. With that said, if you are seeking a quality cap for the course that will turn heads and ensure maybe add a bit more luck to your game, keep on reading. As the first newsboy cap on our list, this product is designed to be trendy with an old vintage flair. With a plaid pattern that makes it ideal for many different outfits, this product comes in four different color choices and various sizes to choose from. This is the MG Men’s Plaid Ivy Newsboy Cap and it is a quality design made to last. Here is the first design feature! This cap is made from two different material qualities. It is structured with both polyester and rayon. Polyester is a highly durable material that allows for the product to be machine washable and quality designed. Rayon gives it an added layer of strength and shape to the product so it keeps it’s overall design and shape easily. If you were to look under the cap itself, you will notice a black lining around the cap that is made of mesh. This lining is designed to be a moisture-wicking sweatband design that allows for an individual to wear this for a long period of time even during hot and humid days. The sweatband is intended to allow the user to feel more comfortable and minimize the amount of sweat that comes down from the top of the head. The price of this product is very effective and makes it a great value. There are four colors and different sizes. Therefore, the price will slightly vary. However, the price is very affordable and the cap itself is made to be durable. It even comes with a quality tag with the item number. Overall, if you want a durable newsboy cap with a trendy design, this is it. Mesh lining with wicking sweatband. Four different colors and sizes. May be a bit tight on the head. Needs a while to stretch. Time to up the game a bit! If you think the last brand had a great selection, it is time to talk about the new brand on the list. This is the Wonderful Fashion Classic Herringbone Newsboy Hat and we want to discuss two excellent design features. It is very classic and happens to be one of the Best Sellers online. Here is the first design feature. This product is where wool and polyester meet to create an exceptional design quality and durable product. This item is made of polyester and wool, which creates a blend of luxury and durability. It is known that wool can get hot, but the polyester allows the product to be more breathable. To add to this, the polyester is well constructed and stitched to have a soft and luxurious feeling. This product is designed to not only be luxurious but to also fit comfortably on top of the individuals head. 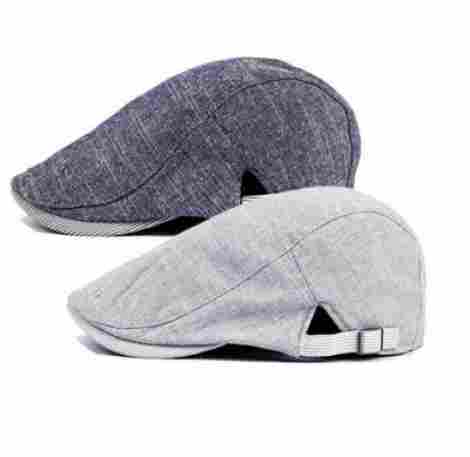 This item comes with a soft quilted liner that is designed in the inner lining so an individual can be more comfortable when wearing the cap for long periods at a time. To add to this, the design of this product is very high quality and very comfortable. This product comes in what may be one of the largest varieties available. In fact, this brand has a large selection of different colors and sizes to choose from. Overall, you can expect the color design and the quality to be of the best material value and the design to be very durable. The price itself is well priced and around market value. 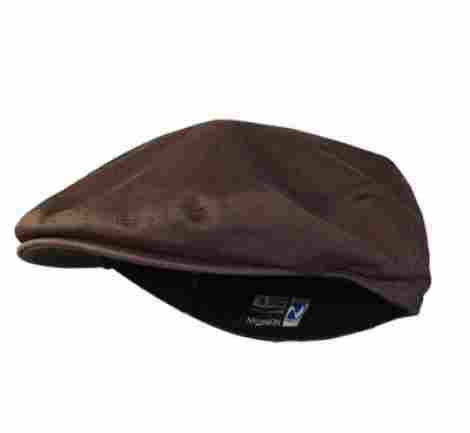 If you want the number best seller newsboy cap online, this is it. Trusted product with plenty of reviews. Durable design and made of polyester. Stylish look and high-end quality. The bill may be too long. The sizes may be off. We want to discuss newsboy cap number three on our list. This next cap is designed to be of the best quality and designed to be luxurious. 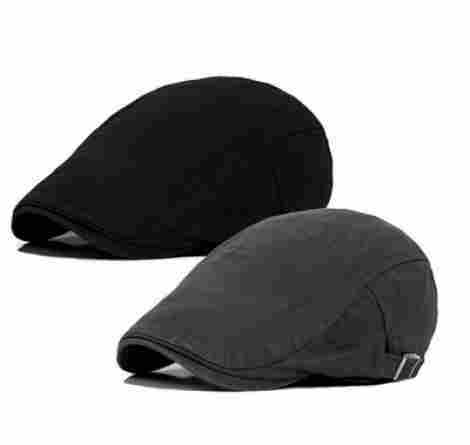 The Qossi Men’s Cotton Flap Cap is a luxury product that is very high end and durable. The design is very simple and it even comes with adjustable features that add to the comfort and quality of the product. Here is the first design feature of this cap. The material design of this product is 100% cotton. So an individual is not getting the breathable benefits of polyester or spandex, but they are getting a quality design that is luxurious and comfortable. This product is intended to be high quality, simple, and designed for individuals that want a traditional newsboy design. However, the next feature is a luxury and modern benefit of choosing this product. If you have ever bought a hat you know how difficult it can be to pick the right size. With this product, you do not have to worry. This item comes in one size and it is designed with an adjustable buckle. This benefit is a plus in our book and users can expect the buckle to be of the best design and stitching, with quality reinforced construction. With that in mind, it is comfortable and designed as an ivy Gatsby look. So, let’s talk about the price and value. Did we mention that it actually comes as a 2-pack? Yes, you get two quality designs with different color variations. Therefore, you can mix and match and were a different design and style. With that in mind, the price of this product happens to be the average for other hats, but you get two caps instead of one, making it a great value deal to consider. 100% cotton is comfortable and soft. Great match to any outfit. We have talked about this brand before and it is because their products are designed of the best material value and they happen to be very high quality. With that in mind, it has a 4.5-star review and plenty of happy customers. Their customer service is efficient and helpful, and you even have five different colors to consider. Let’s discuss why the Epoch Newsboy is considered a high-quality product. We have discussed what the benefits of wool are. It is a very high-quality material, durable, and designed to be comfortable. More so, wool is designed for classic winter weather. Since it is a material quality that happens to get very hot, individuals may notice that this cap is more comfortable during winter or fall weather on the golf course. Since this cap is made of wool it is designed to be very comfortable. To add to this, the design is high quality and can be cleaned easily with the right liquid and towel. As we said, wool can get hot, therefore, it is best to consider the weather if you want to be more comfortable. This newsboy cap is very high quality, simple to wear for long periods at a time, and matches with any outfit. As far as the cost and the value, this product is high quality, simple, and durable. With that, it comes in five colors and different sizes. Now, the price is a bit above other brands because it is made of wool. However, that is common among wool related items. With that, the cap itself is comfortable and the wool material is easy to clean. Durable design that is comfortable. Stylish look and keeps head warm. Made with fashion and inspiration in mind, this cap is designed to be a fashionable style with a classic appearance. It does not have the traditional vintage plaid design, but more of a modern full-color design. This is the Qunson Men’s Cotton Flat Ivy Gatsby Newsboy Cap and we want to discuss with our audience a couple of features as to why it is such a great product. This product is made of 100% cotton, which is intended to be durable and high quality. More so, the design is a bit more breathable than wool and it can be hand-washed. To add to this, the cotton is a comfortable material that is durable and high quality. The interior design of the cap is comfortable as well and very soft. This product comes as a two-pack or a single cap purchase. With that, you have different colors to choose from, allowing individuals to mix and match. Whether you want a beige cap, a brown cap, a white cap, or blue, this brand has many colors to choose from. To discuss cost and value, individuals will appreciate the design of this cap. With that, it is comfortable, and it even is machine washable. The registered trademark design is brand registered and users will like the overall value. For the price, you get two quality caps, which can be a great value if you want to save some money compared to buying one single cap. Comes in one or two pack. This next cap is a very different kind of cap compared to the competition. Designed to be a high-quality product, the Lethmix Flat Cap Cabby Hat is a durable and high-quality product that is designed to be very luxurious due to one simple element. With here sizes and luxury stitching here is the first reason why this is a luxury man’s newsboy cap. This product is actually made of 100% genuine premium cowhide leather. The cap itself is fully mad of leather and even has a copper side emblem with the name of the brand. To add to this, the leather is shiny, smooth, soft, and very luxurious. Of course, an individual must clean the leather accordingly to ensure that it lasts the test of time. The interior of the cap includes a sweatband and it also very comfortable. This brand is of the highest quality. In fact, they have plenty of positive reviews and close to five stars in value. Part of this value is the fact that this product comes with a full warranty for individuals that want to ensure maximum quality. In the case that the cap gets damaged, ripped, or scratch, you can contact the brand under the warranty instructions. With that in mind, this brand ensures maximum quality reassurance, so any potential rips or tears are incredibly rare. When we discuss a product such as this, we are in a whole new ballpark. 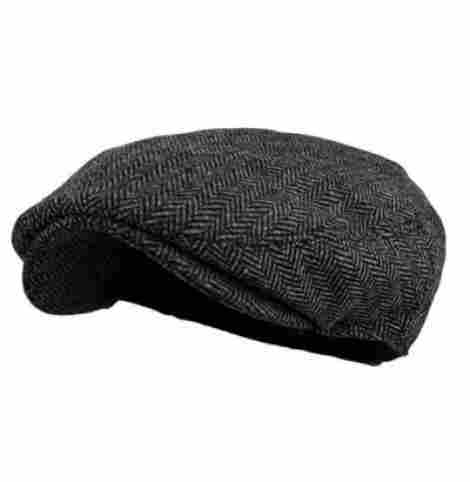 This product is roughly about triple the price of a regular newsboy cap that is made of fabric and it is because of the luxury leather construction and stitching. To add to this, the design is versatile, high quality, durable, and very comfortable. It is more firm than other caps, but that is part of the leather construction. Quality designed intended to last. The hat can seem shallow. May fit off at first. 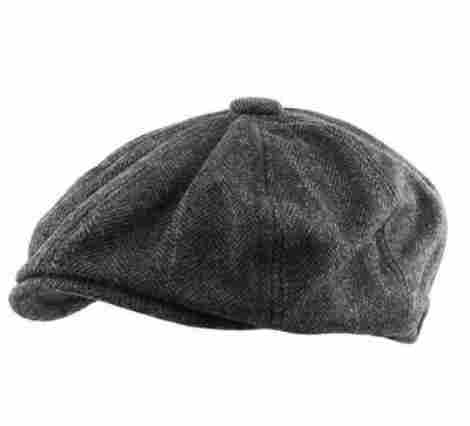 This next product that we are eager to discuss is actually a very simple newsboy cap that despite the wrinkles, resembles humble newsboy caps very well. It has a very vintage style and the fact that the material is very soft and malleable make it easy to wear and also very compact. No need to worry about structure with this product, just pack it and go. This is the KBETHOS Applejack Ascot Gatsby Newsboy cap. This product is very high quality and allows for an individual to have UV protection. Cover your head and your forehead and eyes very well with this product to ensure you stay out of the sun’s harmful UV rays. With that, this material is 100% breathable and very high quality. To add to this, it is the perfect companion for an individual that wants to golf. This product comes in five different very earthy colors. The colors of this product are well designed and are also designed to not fade. With that said, users can mix and match their clothing because the colors are all neutral. However, if you want a fun color design, there is a plaid design that is very high quality and durable. As far as design, cost, and value, the user will find this product to be very inexpensive compared to other brands. With that, the design is durable, and the construction is very well stitched. The overall design is similar to newsboy hats, expect this one is more of a casual design. With five color choices available, individuals will discover this product to be great for casual designs on the course. Quality design that is simple and durable. Great gift for any individual. May run a bit large. This next newsboy cap is very high quality and durable. With a quality design that allows for a user to wear it year-round, the Ted and Jack Solid Newsboy is a quality product with different color variations. It is a simple material design and the overall product is durable and constructed to last. This product is designed to be a solid cotton cap. The solid design is a full-color design and the brand has different neutral color choices to choose from. With that, the design is effective, durable, and constructed to last. With this in mind, we highly recommend this product to individuals that want a simple and neutral design that matches with all outfits. If you want a luxury feel alongside durable qualities, this is the cap for you. The cotton material of this product is effective and durable and individuals will discover that it is high quality. With this, the overall design is very simple and the cap is hand washable. Perfect for all seasons, the cotton material does not snag easily or tear. Keep in mind that the all-white cap can get dirty quickly. With that, the design is universal of many newsboy hats and the user will discover that this cap is very high quality. For the price, other brands sell a value pack of two. However, it is the fact that you are getting it from a premium brand that focuses on quality and customer satisfaction. With close to five stars, this product is durable and high quality. This 100% stonewashed cotton constructed cap is very high quality and comes from a brand that focuses on customer satisfaction. With a variety of colors, this is the ninth brand on our list. Let’s talk about the Rooster Headwear Washed Cotton Newsboy Gatsby Ivy Cap. When you consider the design of this product, we would be fools to not point out that it is made from a triple-stitched panel seam design. With that, the overall construction of this product also has a fully shapeable hard visor that includes a single-snap front design. The construction is created to be durable and handle wear and tear even if you pack it inside of your golf bag. This product is made of 100% stonewashed cotton, which happens to be a durable and quality construction design that allows for the user to have a comfortable feel and experience when wearing this product. With that, this brand has this product in various sizes, making it easy for individuals to select the design and color they want. To discuss the value and cost, individuals have to keep in mind this is a premium brand with plenty of positive reviews. To add to this, they have this product in luxury colors that do not fade and the item itself is tripled stitched. This product can compete with the leather cap we shared earlier. Overall, it all depends on what you desire and if you want comfort and quality or simplicity and a bargain. We thought we would change it up a bit and share a quality women’s cap that is durable and very luxurious. Made of wool and with a variety of color choices available, the Belfry Newsboy Gatsby Women’s Cap is a product that is worth considering. Here are the first design benefit and feature of this excellent product. The design of this product is designed to be soft and comfortable. The high quality blended wool body is designed to keep an individual warm during the fall or winter weather. To add to this, the design is very simple, and the construction is very durable. Overall, the soft and comfortable feature fits on the head very well, allowing for the user to be comfortable all day long. This brand has been touted for their excellent high-quality construction and overall durable designs. This product is designed with quality in mind and it is created with expert hat-making techniques that allow the construction to flourish. Or instance, all of the stitching is only noticed from inside of the cap, not the outside. This creates a more seamless and quality minimal design. 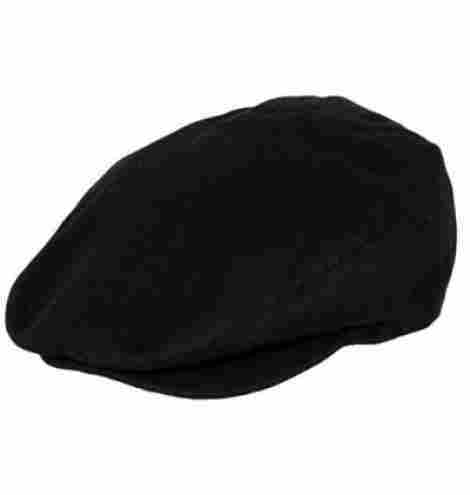 Resembling the old vintage newsboy caps, this is a women’s cap that is durable and high quality. To add to this, it makes a perfect gift for any women golfer that wants to look like a winner on the golf course. Whether you want this for yourself or as a gift, it is a quality product worth considering. The price is a bit above many other brands, but that is due to the reputation of the brand and the material construction. Free returns on many products. Whether you want a plaid style, authentic solid color, or genuine leather design, all these products have been designed in many ways and reinvented many times over. Today, we have brought you the best ten, but we are also wanting to discuss the best way to select a newsboy cap. This is where our criteria and evaluation come into play. If you are looking to know more about the newsboy cap, let’s move forward! The material design of a newsboy cap is much like that of any cap. Except, there are about three-four different materials that are used to create them. 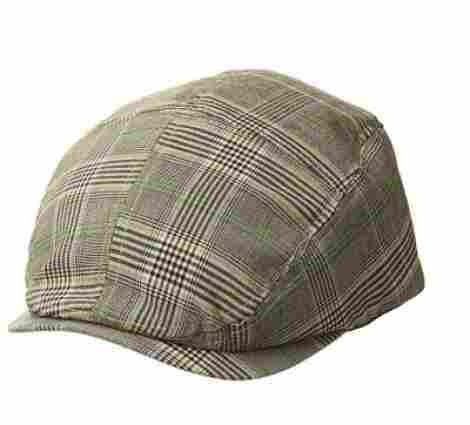 With that said, let’s narrow down the most common materials in building newsboy cap. Cotton is a highly used material and the most common. The old vintage newsboy caps were made of cotton and were not made of modern materials. With that, to keep the integrity of a newsboy cap, most of them are made of cotton. With that said, today, there are many caps made of cotton for various reasons. Cotton is not only very easy to clean, durable, snag-resistant, and high quality, it happens to be one of the most comfortable and easy to wear all day long. As another old-world material. Wool has been around for ages. Therefore, you can expect many newsboy caps to made of this material design for various reasons. Wool is considered one of the oldest materials. With that, it also is designed for winter weather. Which brings us to the next point, wool is a warmer type of materials so it is not advisable to buy a cap made of wool unless you live in colder environments. For example, an individual living in Florida can expect discomfort and piles of sweat if he or she buys a wool newsboy cap. This is a lesser common material when it comes to Gatsby caps. The reason being is that this synthetic material did not come about until later on and is also less luxurious than other materials. With that, polyester is the common material for brands or caps that are designed to be more affordable and budget friendly. It still is a great material, but not as high quality or as comfortable as other materials. With that, it is more breathable and lightweight than cotton or wool, which is great for the tropical weather months. This material is the most luxurious and also the rarest as far as this style. The reason being is that genuine leather takes longer to produce, and it requires specific instructions for taking care of it. There was only one leather brand on our list, but we can proudly say that their products are excellent. 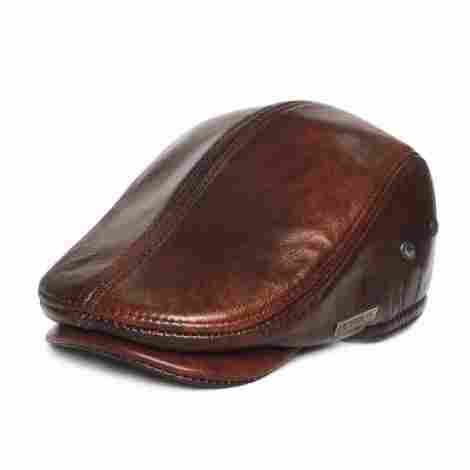 If you are considering a leather newsboy cap, you cannot go wrong. 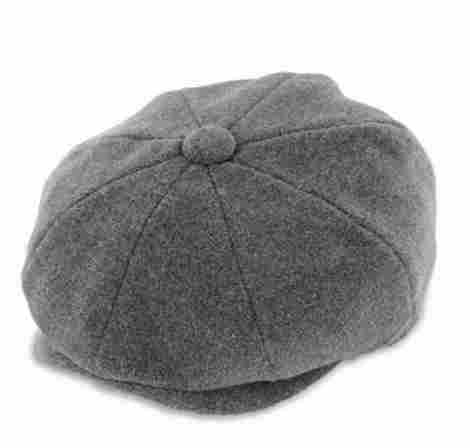 With these materials taken into consideration, we want to share one other common material that is in the interior of many newsboy caps. This material is intended for comfort purposes. Many caps have mesh on the lining or interior of the cap not only for moisture wicking benefits but breathability. Mesh allows for airflow to travel through the cap, making it more comfortable for the individual to wear the product for long periods at a time. So, when picking out your cap, if it has mesh, you can expect enhanced comfort. Many caps have different designs and among them is a side buckle that is intended for fashion but for one more purpose, adjustability. Many brands will have side buckles on their caps to make it easy for an individual to adjust the cap to their desired design. With that, this is a great product quality design that allows for an individual to pick the design they desire without worry about the size. However, not all brands carry this element. With that, it is important to relate to the size chart on all of the brands to ensure that you are selecting the right size. Most commonly, brands will have a small, medium, large, and larger sizes available. Therefore, always keep in mind what size you are selecting. Many different newsboy caps come in various colors and textures. With that, the texture is dependent on the wool material, with wool having a very grainy and sandy color and texture design. Now, many brands do carry all solid caps, which make them easy to match and very high quality. This is the most common color design you will encounter when searching for one. However, another quality color design is the vintage plaid designs. Plaid used to be a common color choice and design for the golf course, it was a blend of luxury and quality. Therefore, plaid is used today very commonly. As far as cost and value, you have to take into consideration what is most important for you. There are many brands that sell their caps as a value pack. Therefore, you can easily and effortlessly select between a two pack with various color choices, making it easy to have a new style every day of the week. However, more premium and luxury brands only sell them individually at about the same cost of a two-pack. Most commonly, wool and leather are costlier materials, while cotton and polyester are not. Therefore, it is important to consider what you are getting for the price. Now, let’s move forward and answer some of the most common questions. Q: Can you wash the cap? A: This is one of the few products that you cannot wash. First wool and leather cannot be washed or they will be ruined or the quality will go down. Leather needs specific cleaning wipes or liquid to ensure longevity while wool needs a specific towel and dry clean only. With that, even cotton and polyester caps cannot be washed because their quality design may go down. Many brands do have hand wash available. Q: Is the cap breathable? A: Wool and leather are not breathable materials. Many brands will have a breathable lining as part of the design. However, for breathability, the best cap is polyester. Q: Is the cap adjustable? A: If it has a buckle on the side yes. However, some buckles are designed for display only, to ensure that it is adjustable by contacting the brand or reading the product description. Q: Is the cap collapsible? A: Most caps are designed to be collapsible and easy to travel with. With that, polyester and cotton are easier collapsible materials than other brands, while leather and wool are more sturdy materials.